There are 1 cat videos tagged with lucky-cat. Silly, short, and sweet. 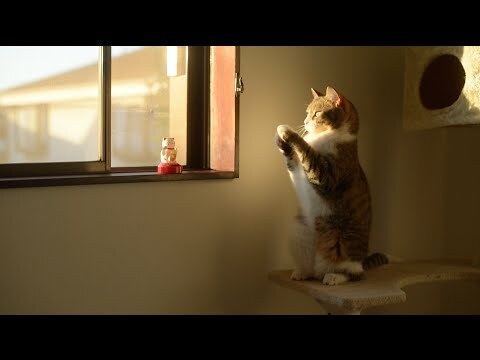 Watch as Taro the cat imitates a maneki-neko (beckoning cat) figurine. Sitting on his little ledge while his friend and him investigate it, all set to a sweet and light lullaby, with sunshine and happiness showering down on Taro as he plays. For all the lovers out there of Taro and any other cats, who wouldn't enjoy this simple, precious moment?